Ease the login process by providing the social media login to the customers to enhance user experience. The social login Magento 2 extension allows the admin to ease the login process by providing the social media login at the login, register and check out page. This feature provides an enhanced user experience as the user/customer/visitor is able to sign in/sign up in multiple ways. 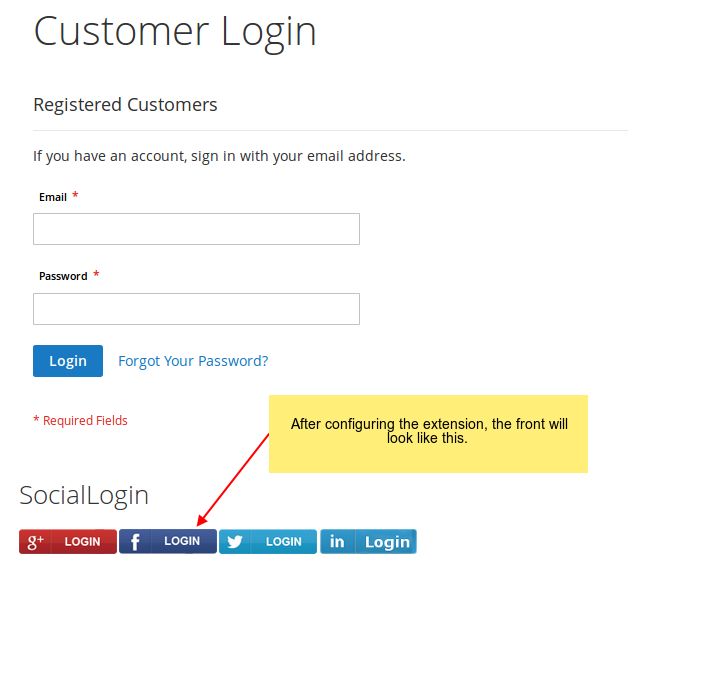 Our Magento 2 extension for social login enables the user to sign in/sign up from the multiple social media platforms. This is highly favorable and convenient for the customers. Our Magento 2 extension for social login provides social media login buttons at the sign in, sign up and check out page. The Magento 2 social login extension enables the users to sign in or sign up from a wide range of social networks. 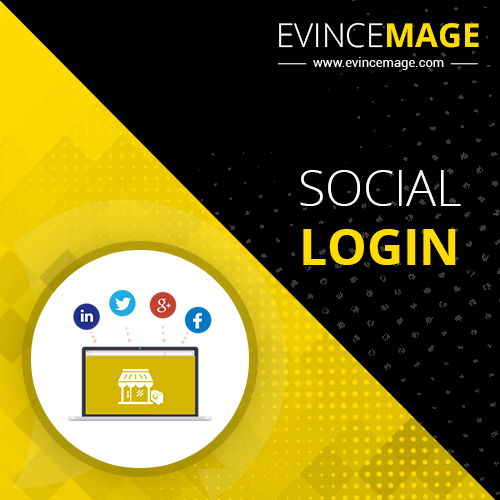 Our social login extension for Magento 2 also enables the admin to add additional social media accounts to provide a wide range of choices for the user. Most of the time, the customers are already signed in to social media account. In such a scenario, the customers need not provide their email and password for sign in or sign up. 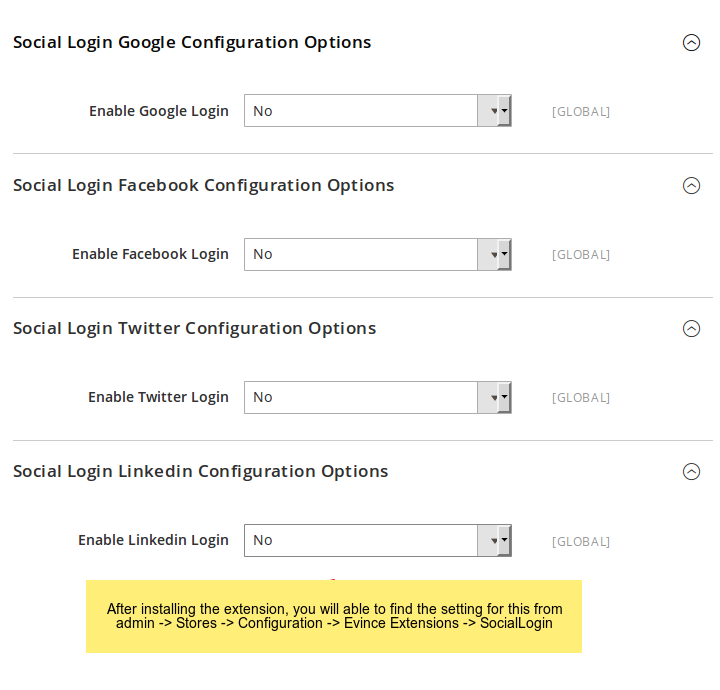 In such a situation, our social login Magento 2 extension ease the process of the sign in or sign up. Our Magento 2 social login extension for Magento is programmed to operate across all the Magento 2 extensions. No matter what is the version of your Magento 2 store, our social login Magento 2 extension is easy and flexible for all Magento 2 versions.